Adult Hockey is alive and thriving in Arizona! 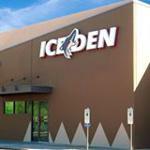 AAHA has hundreds of teams playing in USA Hockey leagues across Arizona. Click below for an arena near you in Gilbert, Chandler, Tempe, Scottsdale, Phoenix, Peoria, and Tucson. Brand new to hockey? Take 20 years off? No problem. Contact a rink below to learn the game or get reacquainted with the greatest sport in the world.